The Mid-Atlantic Recreation and Parks Sports Alliance (MARPSA) is a consortium of Recreation and Parks Departments, Official's Organizations and Youth Sports Associations in the Mid-Atlantic region. MARPSA's mission is to develop and communicate a consistent message that organizations and their players, coaches and spectators will be held accountable to a code of conduct that promotes sportsmanship and keeps recreational competitive and non-competitive sporting activities in proper perspective. The effort of MARPSA was to create a common Sports Code of Conduct to be utilized by member organizations. This Sports Code of Conduct establishes standards for players, coaches and parents to uphold. Failure to comply with these standards may result in disciplinary actions by the member organizations. 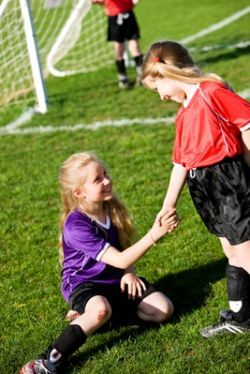 Players are expected to respect the game, play fairly and follow rules and regulations, show respect for the authority of the officials, and demonstrate good sportsmanship before, during and after games.